With a view to sending a strong message to neighbouring China, Prime Minister Narendra Modi is scheduled to visit Arunachal Pradesh early this year. China has been taking strong exception of top leaders visiting the frontier state since long. 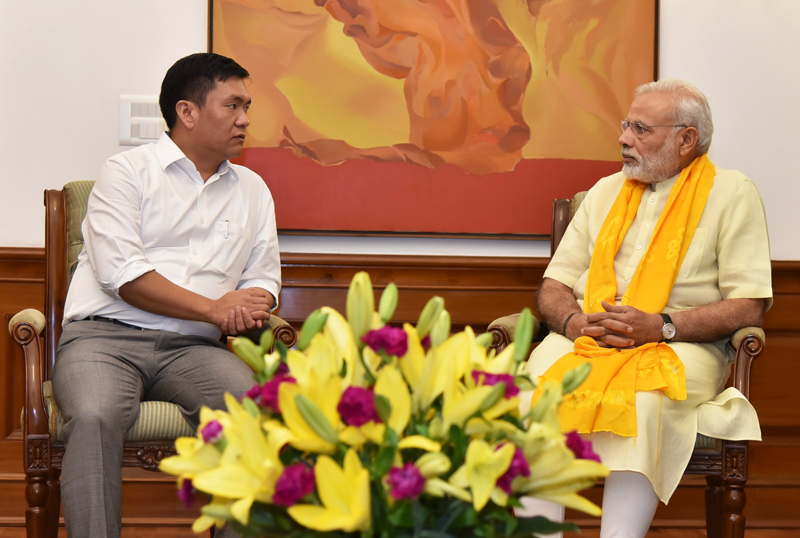 Although the dates are yet to be finalized, sources revealed the plans have already been discussed during a recent meeting of Arunachal Pradesh Chief Minister Pema Khandu and Prime Minister Narendra Modi in New Delhi recently. China had strongly reacted to the visits of Defence Minister Nirmala Sitharaman in November last year and also during President Ram Nath Kovind’s visit in December. Earlier, too, China had expressed strong displeasure when spiritual leader Dalai Lama had visited Arunachal Pradesh. Even a visit by then US envoy to Arunachal Pradesh in 2016 was not spared by the Chinese government. Modi’s first visit to Arunachal Pradesh as the Prime Minister, in February 2015, had also evoked a strong protest from China. China had protested visits by Indian leaders during the erstwhile UPA regime too, but its protests have become sharper in recent years amid its growing global ambitions of laying claims on parts of Arunachal Pradesh in its territory. Meanwhile, Chinese and Indian security forces have been locked in a latest standoff near Bishing in Arunachal Pradesh’s Upper Siang district for more than a week, reports suggested. The standoff began after Chinese soldiers reportedly crossed into Indian territory with road building machinery in late December. Residents said that Indian security forces intercepted Chinese troops near Bishing village and seized their road construction machinery, including two excavators. However, officials from the district administration of Upper Siang district have dismissed any such reports of activity by China. The alleged incursion comes just months after the 74-day military standoff with China at the Doklam sector in Sikkim earlier this year. The Indo-China standoff went on from June to August. The Doklam plateau is located near the tri-junction of India, Bhutan and China. Both Thimphu and Beijing claim it as their territory. Beijing and New Delhi had both maintained that troops from the other nation had transgressed into their territory. Bilateral ties were strained after the Indian Army stopped China from constructing a road in Doklam. On August 29, India announced that it was disengaging its troops from Doklam.